St. Louis Mayor Francis Slay. After Slay, who should be the next mayor of St. Louis? Share your thoughts with us. "Although St. Louis is still very recognizably the city that I have represented in one elected position or another since 1985, it is also a city that has slowly won back some of its swagger as a place to start a business, to raise a family, and to walk and ride a bicycle to work. I love what we are becoming," Slay said. The mayor said his health is fine, and that he does not have another job lined up, though he did not rule out running for another office. He also has no plans to go out quietly. "This is not goodbye," Slay said. "I am going to be mayor for another year. I will have a full and, likely, controversial agenda to complete." A spokeswoman said Slay's priorities include economic development, education, and the pursuit of a north-south MetroLink line. Last week, NGA director Robert Cardillo made public his preference for St Louis to be the site of his agency’s next new headquarters. As his justification, he cited a city that is more likely to attract and retain — also engage and entertain — the sort of employees the NGA is going to need in the next several decades. LISTEN: Reporters Rachel Lippmann, Jason Rosenbaum and Dale Singer discuss the announcement on St. Louis on the Air. The news surprised many watchers of St. Louis politics. Reporters informed Tom Shepard, the chief of staff to president Lewis Reed of the news. Alderwoman Cara Spencer, D-20th Ward, was also shocked. In a phone interview, Collector of Revenue Gregory F.X. Daly said he was with the mayor on Tuesday during the city’s municipal elections and was told to have a conversation at the end of the week. Joe Reagan, the president of the St. Louis Regional Chamber, also said he was not expecting the news. He called Slay an outstanding mayor who was a close partner in efforts to grow the local economy. "He's somebody that when he makes up his mind, he's listened," Reagan said. "When he's made up his mind about a policy or direction, he plants his feet firmly and he stays on course until he achieves what he has set out to do." He pointed to the mayor's support for public education, and the return of the St. Louis Metropolitan Police Department to local control as examples. Praise poured in from regional elected officials and leaders. 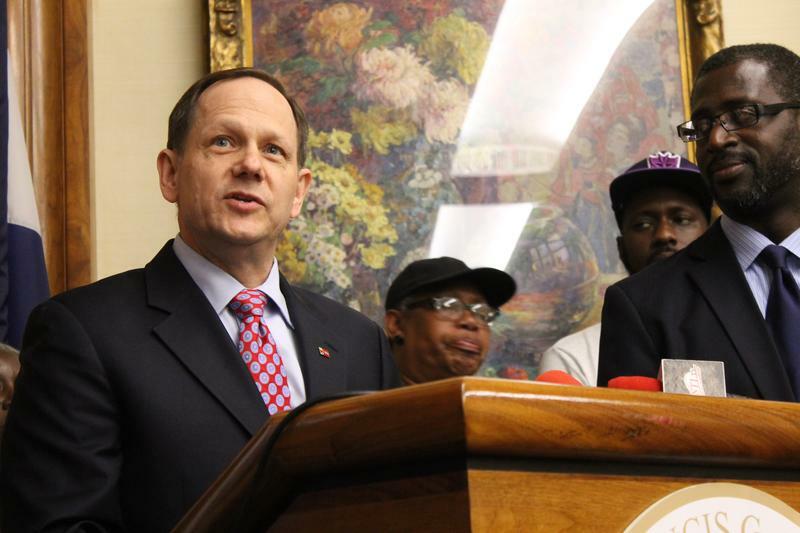 Good luck to @MayorSlay in his future endeavors. The city now has an opportunity to move into a different direction. 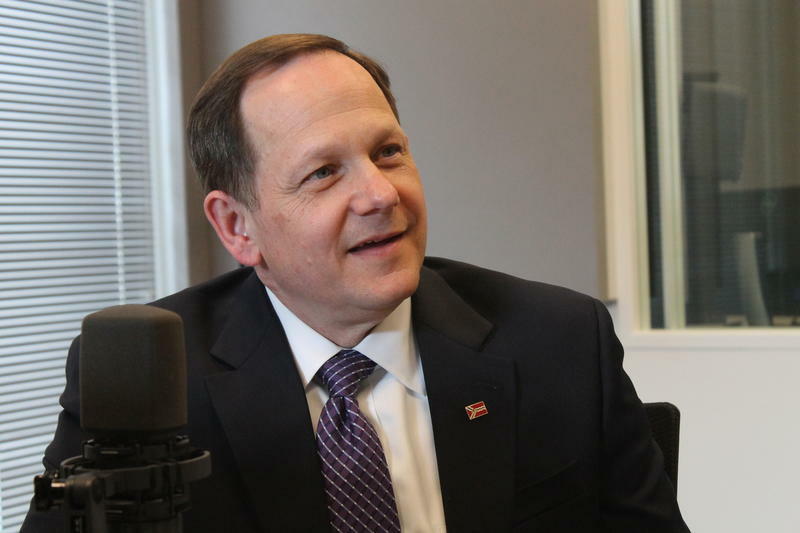 Our future is bright.
.@MayorSlay has achieved a lot in his long tenure as mayor. I wish him the best and look forward to working with him over the next year. I'm sure every pollster I know is hard at work as we speak. Nasheed told St. Louis Public Radio that it made sense for Slay to step aside, especially after the National Geospatial Intelligence Agency announced it would stay in St. Louis and the earnings tax was reauthorized. Before she won election to the Missouri legislature, Nasheed was a Slay antagonist – especially after the highly controversial redistricting process after the 2000 census. But Nasheed and Slay eventually became political allies. My sincerest thanks to @MayorSlay for decades of service to St. Louis — your leadership has been a vital asset to the state and the region.
.@MayorSlay has done a great job for #STL. Look forward to his leadership as we work together in his last year as mayor. Clay told St. Louis Public Radio that he appreciated the mayor's focus on lead paint. "When he first got there, he attacked the whole lead paint issue," Clay said. "And we were successful in reducing the incidents of exposure to lead for people who live in the city." Clay says he is focused on his own re-election campaign right now and hasn’t yet thought about who should be the city’s next mayor. But the mayor also had his detractors.